What is a daily horoscope? 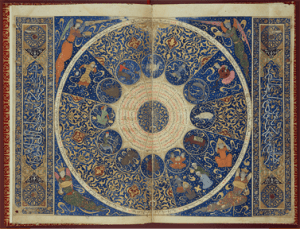 Although a horoscope can take various forms, the most popular and wide-spread in the western world is the one based on the 12 zodiac signs: Aquarius, Aries, Cancer, Capricorn, Gemini, Leo, Libra, Pisces, Sagittarius, Scorpio, Taurus and Virgo. This evaluation can be a prediction over a custom period of time, ranging from hours, days to a more broader spectrum that can involve weeks, months or even years. A daily horoscope has the advantage of being more precise over the longer terms predictions, being the one favored to give positive results and more meaningful interpretations. In general terms, it provides an insight into the near future, a glimpse into events that may occur over the next 24 hours. Having a broad range of factors to consider, a general forecast, unlike a personal tailored one, is likely to show glimpses and fragments into future events, feelings and outcomes. With a close span, a daily prediction, in the hands of a certified astrologer, can be a accurate tool that analyzes inner feelings along with outward pressures and outside interference, helping a person to navigate the day with more confidence. Astrology predictions can be traced to the ancient times, having first started as tools with witch people could determine the changing of the seasons in practical terms and as a way of communion with the universe in a more spiritual sense. This science has been evolving ever since, taken and refined by the Babylonians which moved astrology from crudely predicting weather and political events to more complex mathematical equations that revealed the future placement of planets, leading to a more detailed view of the universe and it’s workings. Egypt and later on Greece and Rome made their mark on modern astrology, influencing the way the signs are distributed and more importantly, reading in a more precise and accurate way their influence on us. The most widely spread types of predictions are the classic western one based on the well known 12 signs, and the Chinese one. The Chinese horoscope, obviously, with a much bigger spread in the east, has also gained a lot of followers in recent times. It’s signs are the rat, ox, tiger, rabbit, dragon, snake, horse, goat, monkey, rooster, dog and pig. Each of them having attributed and element such as wood, water, fire or metal.